This guide offers fundamental instructions for the installation and use of the program. Boomerang is an extremely easy data recovery software program to use. This guide offers fundamental instructions for the installation and use of the program. To install Boomerang for Windows, visit www.boomerangdatarecovery.com or any other major download site. Boomerang comes with an installer, just double-click the installer to install. WARNING! Don’t install this program, or any other, to the partition that contains deleted data you want to recover! On this particular system, there is one hard drive with one partition. Please note that your system will show different drives available than the one here in this demo. 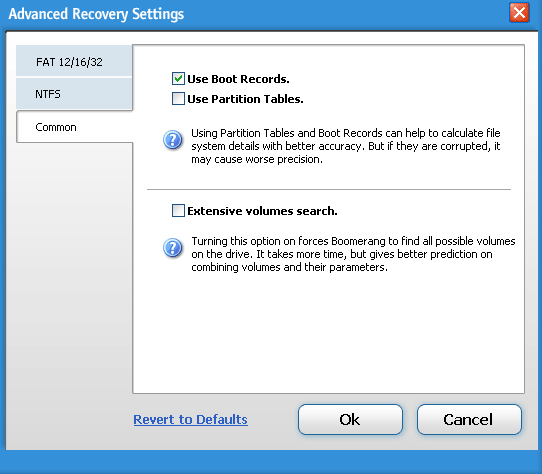 If the partition you want to recover does not appear, then select the device (the hard drive, for example) and click ‘Recover It!’, this will enable you to search for the missing partition. HINT: At any time you can register or place an order for Boomerang by clicking the option icons at the top of the application. 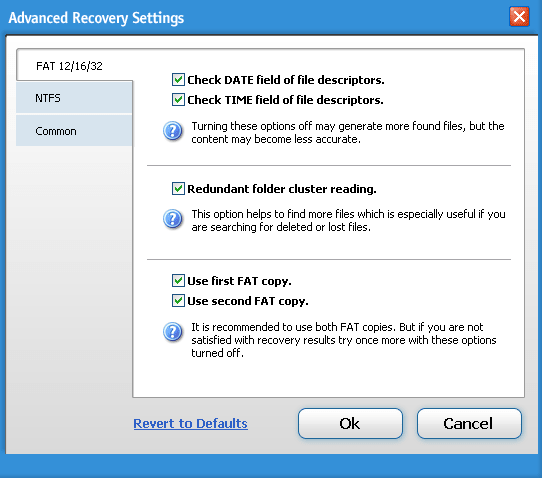 You can adjust your results by changing the ‘advanced recovery’ options. 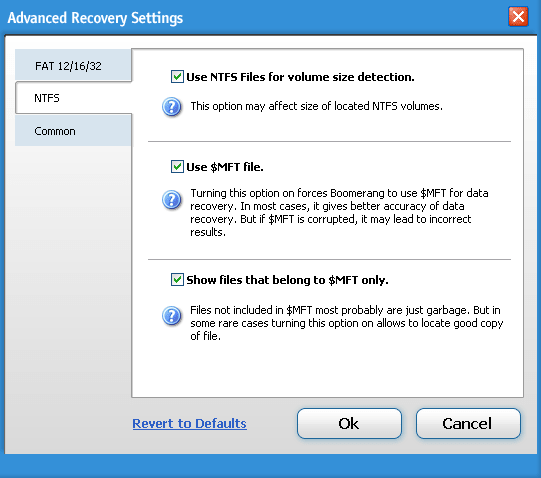 When clicking “Recover It” you have the option of including a File Types scan. This is.. 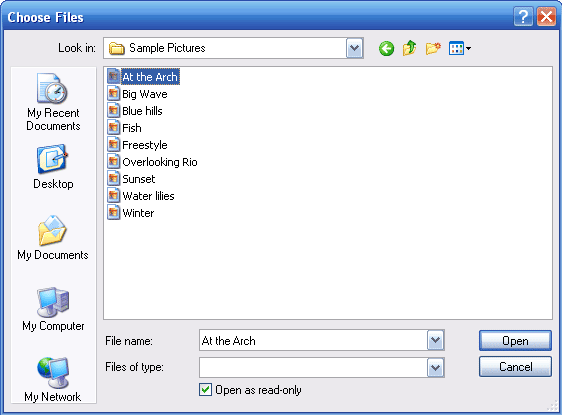 If you click Yes, you will be presented with the File Types screen. By clicking you can create types of files that Boomerang doesn’t know about. The Maximum File Size for deleted files. This option tells Boomerang the maximum file size to look for on deleted files, if you have larger files, you should increase this setting. It may increase your scan time. During the scan, you will see progress.. It is not recommended to cancel the scan, if you do you maybe missing part of your data on the next screen. 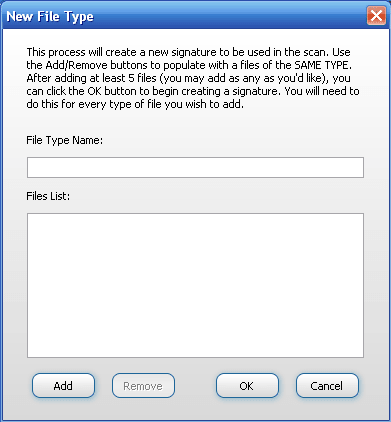 After the scan, you will see a list of files with various options avaialbe including search, regular/lost files, preview, etc. 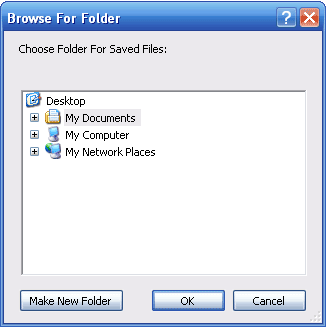 The search box can find a specific file you are looking for, only if Boomerang knows the file name. Some files may be missing the file names. If you don’t find the data you are looking for, try scanning your disk/partition using different settings. See how to improve results at the beginning of this help document (advanced settings). You will need to purchase an Activation Number to save your files. Now you can save your files to the location you choose. Make sure to recover your data to an different location than you are recovering from. 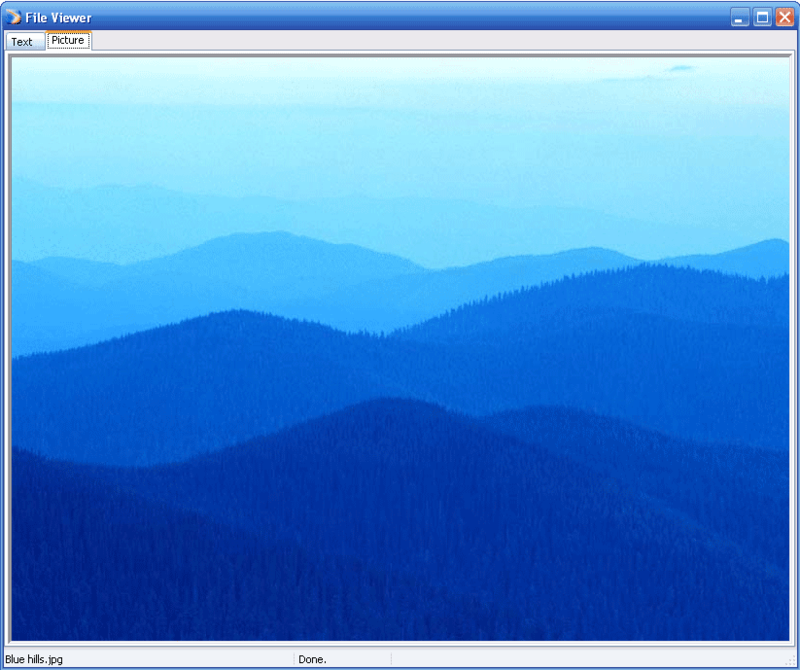 My using “My Network Places” you can save to a remote FTP location or shared volume. Boomerang will begin saving your data. Once you see this message, your recovery is completed. Check your data for integrity. If it’s not good, then you might want to go back and scan your drive/partition a different way using the Advanced Options.